And yes 2011 has already kicked in like morning caffeine, but let’s not forget what 2010 offered us music wise! 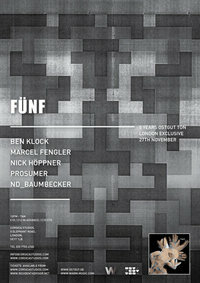 30 January 2010: FABRIC threw another quality night to remember with amazing Mr Ben Klock & Steffi straight from my favorite OST GUT TON. 12 February 2010 : KOMPAKT’S Perc shook T Bar’s (which we truly miss after its closure) dancefloors. 6 March 2010 : FABRIC’S marathon party successfully named ‘On & On… & On’ lasted ….3 nights! !We enjoyed an amazing line up which included Dave Clarke, Ellen Allien, Konrad Black, Onur Ozer, Radio Slave, Seth Troxler, Dinky, Craig Richards &Terry Francis just to name a few. 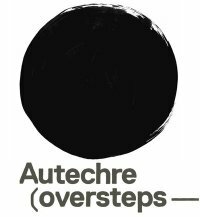 11 March 2010 : AUTECHRE LIVE !Got nothing more to say about this event!! 20 March 2010 :Fabric again but this time with the return of Ricardo Villalobos & Frequency 7 (Surgeon & Ben Sims) taking over the decks. 5 April 2010 :What a great after party that was! With Dario Zenker(Harry Klein) who kept us going until very late at Cable Club. 09 April 2010 : ‘THEM’ brought us a fantastic mixture of advanced electronica at Corsica Studios. Kuedo aka Jamie Vex’d, Boxcutter & PLANET MU’S Rudi Zygadlo fully entertained our ears! 23 April 2010 : Now who doesn’t know one of the most acclaimed film directors and video artists Chris Cunningham?Just remember Bjork’s ‘All is Full of Love’ or Aphex Twin’s ‘Windowlicker’. His live show at Royal Festival Hall was a pure multimedia experience! 21 May 2010 : Cable Club was absolutely bombarded by Mr Aaron Funk’s aka Venetian Snares super exquisite sounds!! Along with him we listened to Luke Vibert, Ceephax Acid Crew & Shitmat. 29 May 2010 : Back to techno now with another warehouse party that hosted Mobilee Records. Anja Schneider & Sebo K showed Londoners what Berlin techno is about! 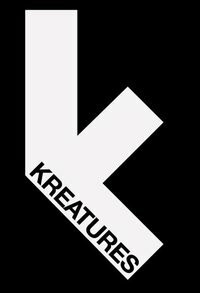 12 June 2010 : ‘KREATURES’ brought us something I’ve never experienced before! Ultra realistic animatronics, cutting edge electronic music, innovative performance and state of the art visuals. The line up was more than impressive with artists such as : Starkey & Milanese from Planet mu, Untold, Bass Clef, Flint kids & the biggest surprise of the night for me, the incredible Mr Ankle pants! 16 July 2010 : An OVERKILL night can only be killer for sure! Some of the artists that send us elsewhere were: KID606,Drumcorps, Dj Scotch Egg, Loops Haunt, N>E>D & Ed Rush to name a few. 31 July 2010 : Warehouse parties are always amazing especially when combined with fine techno, this time with POPOF (Coccoon) & Gui Borratto (Kompakt). Lovely! 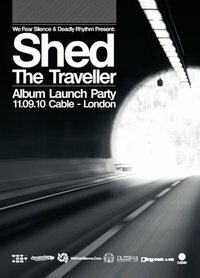 11 September 2010 : Cable Club was taken by a storm named Shed. Straight from Berlin and Ost Gut Ton of course. With him one of my favorite & most respected artists Surgeon! Blast! 18 September 2010 : Aphex Twin’s infamous Rephlex records threw a rare event to remember! We listened to Bogdan Raczinski, DMX Crew, Ceephax, Wisp & Aleksi Perala. 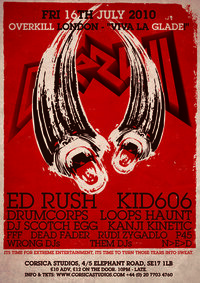 25 September 2010 : Sweden’s DRUMCODE is one of my favorites & this event was totally spot on! It took place in an impressive warehouse which kept us bouncing for hours with Adam Bayer’s, Chris Liebing’s & Alan Fitzpatrick’s quality basslines! 27 November 2010 : We end this amazing year the way we started it.With…Ost Gut Ton which means Berghain which means the Berlin concrete temple of quality techno! That label party was an absolute gem of a night! Loved every second of it! Ben Klock played an unbelievable 7 hour set that left us mesmerized! January 7, 2011 in articles, best of 2010, electronica, London, party reports, techno. i can comment for the party of the 31 st of July with the emerging Mr Popof on the decks who Mrs Nanotec recommended me and it was a great succes in all levels-space,sound ,visuals..
i m great fan of drumcode events since then. why did i want popof to be under the drumcode umbrella? sorry guys and thanx maria!